The Kapoor family suffered a tragic loss earlier this year with the untimely passing of their beloved family member, Sridevi, Janhvi Kapoor, Khushi Kapoor and Boney Kapoor remember her in every way possible. In this tragic time, Boney’s kids Arjun Kapoor and Anshula Kapoor have stood by their half-sisters and father and continue to offer support to them. They have come closer to each other. As late Sridevi’s daughter Janhvi Kapoor’s debut film Dhadak will be out next month, the family including Arjun Kapoor is completely supporting her. 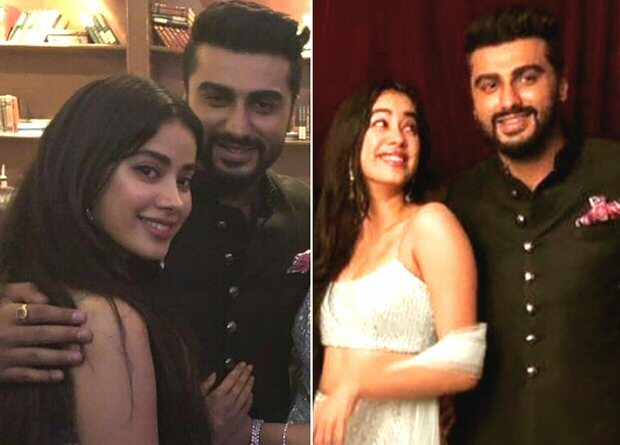 Arjun Kapoor has been showering her with love and had even posted a heartfelt post on her the day of Dhadak trailer launch. Recently, he spoke to a leading daily where he admitted that he has a feeling the film will be a big hit. When he got a chance to catch some glimpses of the film, he realizes that how the audience must have watched the trailer of his debut film, Ishaqzaade. He did not understand at the time as it was his first film but six years later he is objective about how the audience perceived the characters, Parma and Zoya. Speaking about the lead actors, Arjun Kapoor said that Ishaan Khatter and Janhvi look amazing together. As director Shashank Khaitan made his debut in Ishaqzaade, it has come full circle for them that he has directed Janhvi’s debut film. He thinks Shashank was a really good choice who has brought out the best in both actors. He is happy that both the trailer and songs have been loved by the audience.